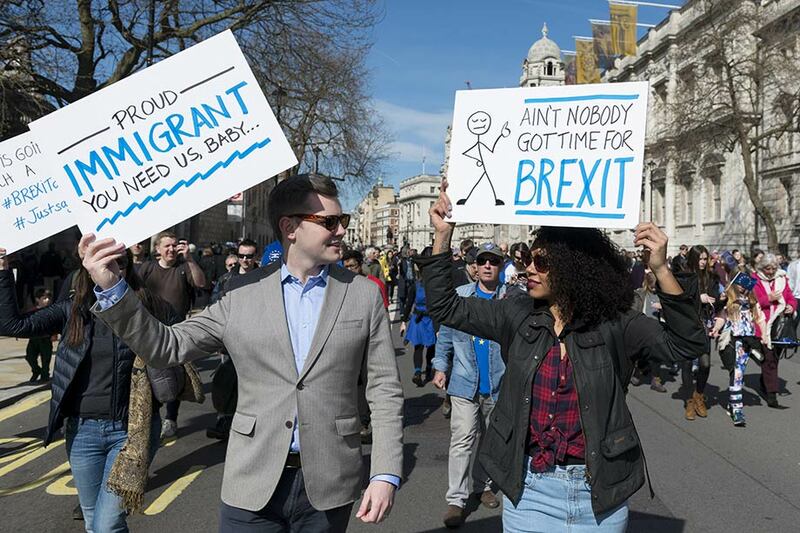 There are a reported three million EU citizens and more than five million non-EU citizenships in Britain. Why aren’t they organising ahead of the election? Stop Brexit, National march to Parliament. London, UK. 25 March 2017. Ik Aldama/DPA/PA Images. All rights reserved. The triggering of article 50 on 29 March and the call for snap elections on 18 April 2017 represent the political consolidation of a conservative turn in the national agenda. Both issues also represent the political legitimation of a ‘hard Brexit’ and the correlative defeat of democratic and progressive forces. In almost a year since the referendum, political parties and organised sectors of civil society have been unable to articulate a successful opposition to the conservative turn and the political alignment of the country under the still fragile power of the current government.